02 « March « 2016 « Nothing in Biology Makes Sense! The idea that nature is “unconquerable” permeates throughout the entire Planet Earth series, but it is perhaps nowhere more apparent than in the “Mountains” episode. A decade after its original release, “Mountains” remains a dramatic and memorable viewing experience. The episode features breathtaking aerial photography of our planet’s greatest mountain ranges, intimate footage of some of the most rare, difficult to reach creatures in existence, and a score that suggests the viewer is about to embark on an epic journey. When you watch it, you can’t help but feel a little bit like Bilbo Baggins. In this 10-year anniversary post we will celebrate the legacy of Planet Earth by reliving some of the most unforgettable moments in “Mountains.” We will also revisit several of the filming locations from the episode to find out how these iconic places have changed over the last decade. During the episode we travel throughout many of the world’s major mountain ranges, focusing on the forces that shape these regions and the unique struggles of daily life for the plants and animals that live here. The alpine environment is incredibly volatile, and Attenborough touches on a number of factors that make it such a difficult place to inhabit. Summertime blizzards strike without warning in Patagonia, pummeling guanacos and other residents with snow. Avalanches crash across the slopes of the American Rockies at over 400 kilometers per hour. Massive glaciers carve their way across the landscape- the Baltoro Glacier in Pakistan stretches 60 kilometers long, its path through the Karakoram mountain range visible from space. 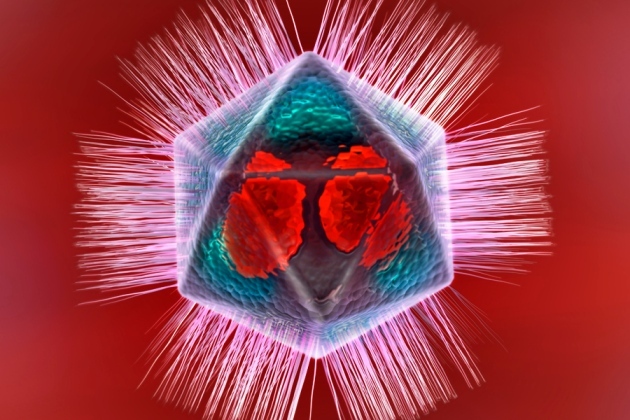 With these near-cataclysmic forces at work, it’s a wonder anything survives here at all. However, a number of organisms survive and even thrive here. From golden eagles to giant pandas, mountain lions to musk deer, red pandas to rhododendrons, a range of odd and interesting plants and animals have adapted to life in these high up places. And while the alpine environment is certainly a harsh place to live, one of the most interesting things about life here is that this harshness can sometimes come in handy for certain mountain inhabitants. For example, in the Ethiopian Highlands we meet a troupe of monkeys known as geladas. The Ethiopian Highlands are certainly not an easy place to live; the region is so resource-poor that geladas must subsist almost entirely on grass (they are the only primates in the world to do so). However, the challenging terrain is also crucial to the geladas’ survival; the sheer cliffs provide refuge from predators that roam the Highlands, like Ethiopian wolves. It’s an example of how, paradoxically, some of the most inhospitable aspects of the environment can be exactly those that help an animal survive. Similarly, in the Rocky Mountains we follow a female grizzly bear and her two cubs as they emerge from hibernation at the onset of spring. We learn that male grizzlies would likely kill the cubs if given the chance, but the female has built her den high up in the steep, snow covered cliffs, at an altitude where larger animals find it difficult to get around. This is another example of how the most challenging landscapes can sometimes be the safest. But in this case, the benefits to the mother and her cubs are temporary- there are not enough resources here to sustain the family indefinitely. In showcasing the struggle to survive the alpine wilderness, “Mountains” also shows us footage of some phenomena that had never-before been captured on film. In the Karakoram mountain range, we watch as a snow leopard stalks a young markhor along the jagged cliffs. The hunt culminates in a frantic chase, predator and prey moving down the mountain with an agility that is almost incomprehensible. This is the first recorded instance of a snow leopard on the hunt, and one of the most iconic moments in the Planet Earth series. 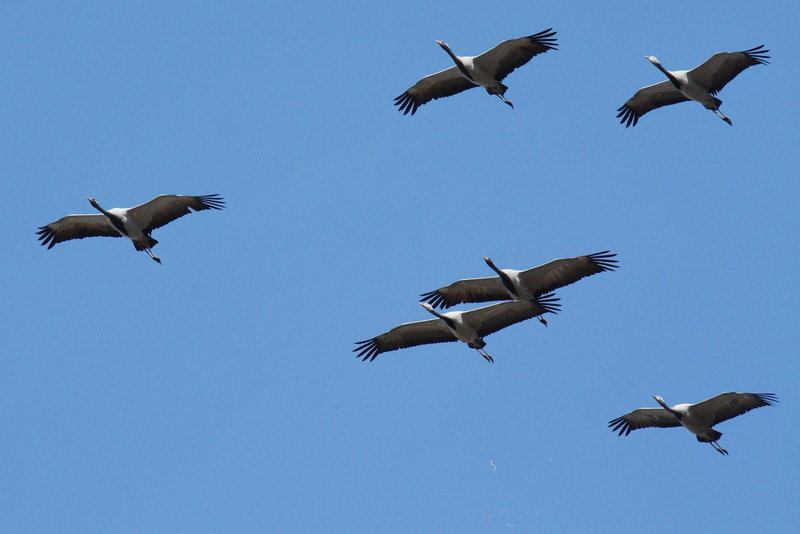 In the final moments of the episode, we journey with 50,000 demoiselle cranes as they fly across the Himalayas during their annual migration. This is another never-before filmed event, and catching it on camera was hazardous. The Planet Earth crew filmed at record-breaking altitudes, nearly losing a crewmember to hypoxia. 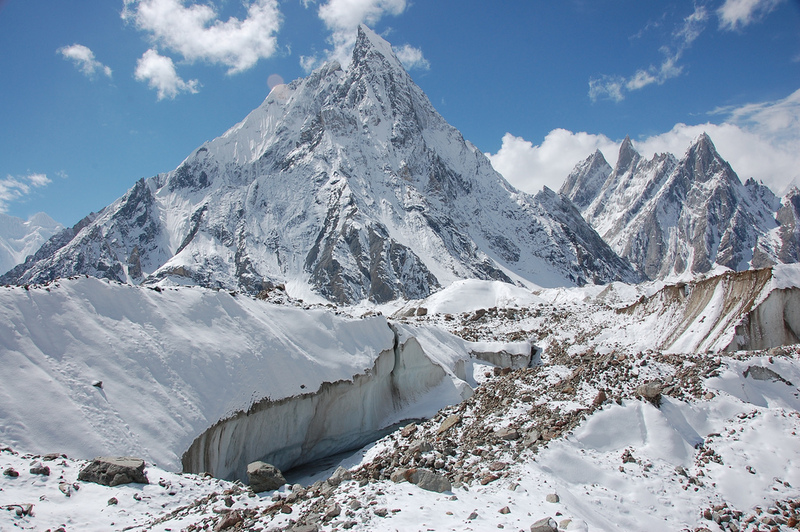 The highest peaks featured in the “Mountains” episode are unconquerable, untamable, and (for the most part) uncolonizable for humans. But although we might not be able to colonize the mountain landscape, we are still affecting it. With recent temperature increases due to climate change, glaciers in mountain ranges around the world are melting. 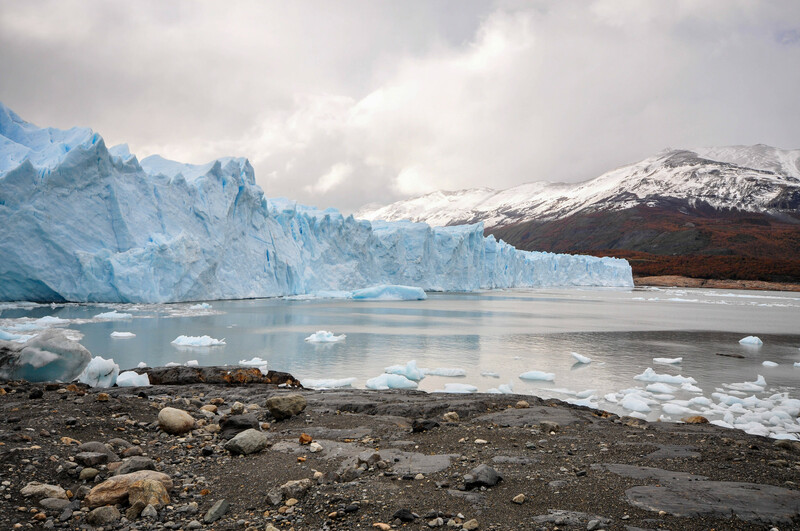 The Andes have been hit particularly hard, with the massive Southern Patagonian Ice Field having receded by around six feet per year from 2000 to 2012. Seasonal runoff is a major source of drinking water for human populations downstream of glaciers, and the rapid depletion of reserves like these could have catastrophic effects for millions of people. The mountain ranges of our planet are also important in shaping global weather patterns, and climate change in these regions could be causing an increase in extreme weather events. As explained in “Mountains,” the Himalayas play a role in creating summertime monsoons in southern Asia. Rising levels of atmospheric carbon dioxide appear to be causing increased rainfall in the region, with the potential to trigger devastating floods in highly populated areas. Climate change seems even to be contributing to the crumbling of iconic peaks in the Alps, including the Matterhorn. 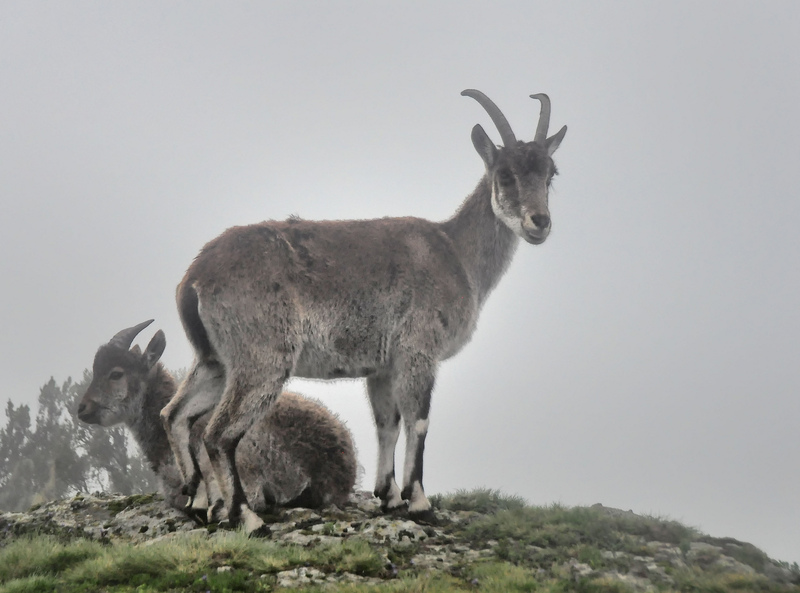 Alpine animals are also feeling the effects of human activity. Numerous animals featured in the “Mountains” episode have seen population declines in recent years. 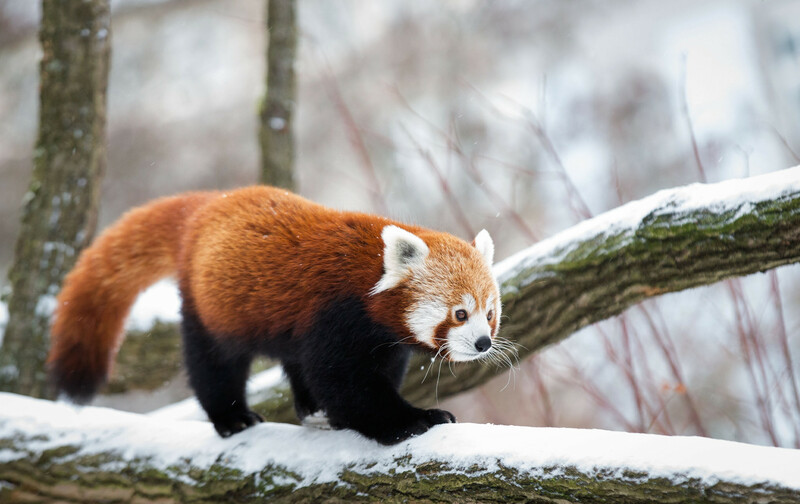 The Ethiopian wolf, snow leopard, giant panda, golden snub-nosed monkey, Himalayan musk deer, and red panda are all classified as “Endangered” on the IUCN Red List of Threatened Species. Common reasons for these declines include habitat destruction and fragmentation, human encroachment, disease, poaching, and competition with livestock. Furthermore, some of the wildlife in “Mountains” probably would not even be found at such remarkable heights if it weren’t for us. The walia ibex (featured in the Ethiopian Highlands segment of the episode) used to range widely throughout the Semien Mountains. However, increasing human encroachment has decimated the species, and the remaining populations are currently restricted to marginal habitat at higher than typical altitudes. The extremes of the high mountain environment seem to have provided the walia ibex with some reprieve from our impact, for the time being. But with just 500 individuals left in the wild, the long-term effects of living in such a difficult place remain unclear. In short, many of the locations featured in “Mountains,” along with their flora and fauna, have been (and will likely continue to be) negatively impacted by human activity. Ten years after the release of Planet Earth, the outlook for many of the species featured in “Mountains” is quite dismal. It is shocking to realize that we have had such a profound impact on places we can barely even reach. But stories like the markhor’s suggest that, with appropriate action, we may yet be able to preserve some aspects of these astonishing, unreachable places into the future.